are attached to replace the tooth. Missing teeth affect your ability to chew, talk, and smile with confidece. 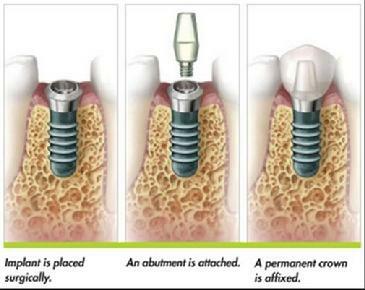 Implants are not only asthetically pleasing but very functional.